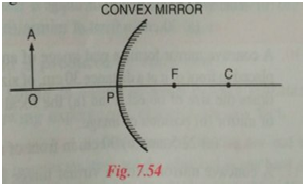 what are the uses of concave and convex mirrors? 1. In torch, search light, head lights etc. concave mirror is used as reflector. 2. It is used as dentist's head mirror. 1. It is used as reflector in street lamps. 2. It is used as a rear view mirror in vehicles. Drivers use convex mirror as rear view mirror because a convex mirror diverges the incident beam of light and always forms virtual, small and erect image between the pole and focus. Also convex mirrors provide a wider field of view. Note: Pls. post different questions as separate queries.